Dr. Rogers graduated with honors from Harvard University, she served as chief resident of Dermatology at Tulane Medical School and spent a year-long fellowship studying hair transplantation in Manhattan before returning to New Orleans to practice medical and surgical hair restoration. Dr. Rogers is a board certified Dermatologist and has co-edited two books on hair transplant surgery, published numerous peer reviewed articles and she is a regular presenter on the topic of hair loss at medical conventions and the media around the world. Wow, the staff was great about scheduling, kind, and professional. I felt cared for as an individual-as a person-by Dr. Rogers and all of the staff. The day of surgery was actually fun. It was painless too! There were no surprises – everything was explained completely- I highly recommend Dr. Rogers to anyone who is thinking about a transplant. I would do it again in a second. Women can notice hair thinning in their teens, twenties, or even in the thirties. The diagnosis of female pattern hair loss can be tricky because women often suffer with hair loss from causes other than genetics. It is not uncommon for women to develop age-related thinning as they approach their 60’s and 70’s. 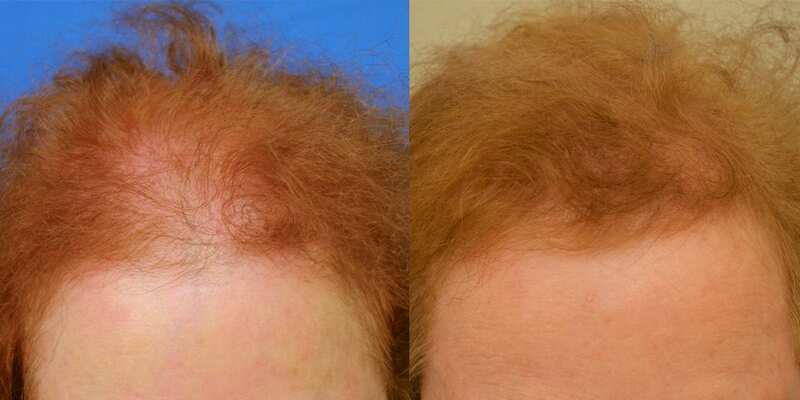 A combination of medical therapy (Rogaine, finasteride, spironolactone) as well as hair transplantation can be used to address this condition. Nearly everyone can benefit from one form of treatment or the other. Dr. Rogers is a world renowned expert on hair loss and its treatment and is a trusted resource for the media, cosmetic companies and scientific conferences. Dr. Rogers has published numerous peer reviewed articles, edited 2 hair transplant text books and been quoted in national beauty and heath magazines.